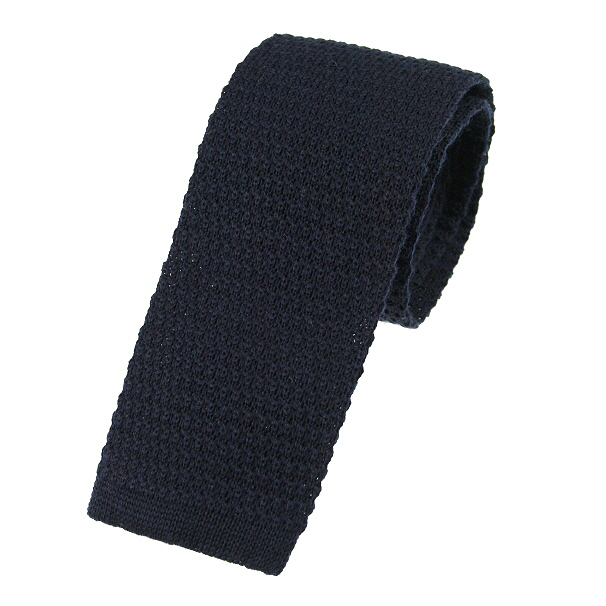 A navy blue wool knit tie with a lightly raised stitch pattern and a neat square end. Our neckties are well made and have a lined neckband to avoid overstretch during use. A timeless men's accessory for any occasion.